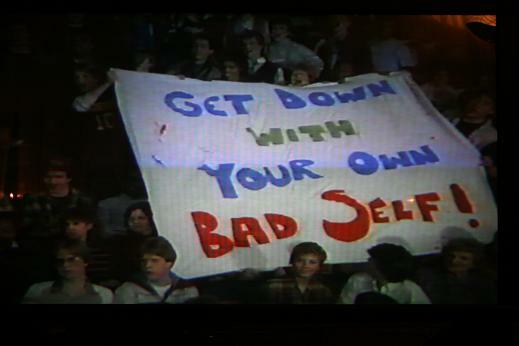 Alright Preserve readers, I apologize for the service interruption and the delay in getting more than some Ghostbusters pics to you this entire weekend! We're pawing our way through the 1000 pictures we shot over the show, and will start getting you up to speed starting now! 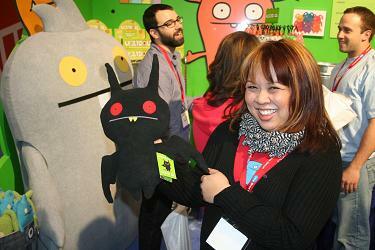 The Uglydoll booth was bright and fun as always, and on the strength of the success of the Sleepy Time Ice Bat from San Diego Comic Con, they came to NYCC with another show exclusive. While the Ice Bat exclusive was only made in a run of 100 pieces, they upped both the quantity of this new figure to 300 to try to better meet demand. It still looked like they were selling well, and by the time Saturday night rolled around only a handful remained. Hopefully they met their numbers, and we'll be able to see future exclusives at the upcoming shows! Tonner was out in force at the show, with a number of new figures! They had new Black Canary, Green Lantern and prototype Catwoman and Hawk Girl figures that all looked great. 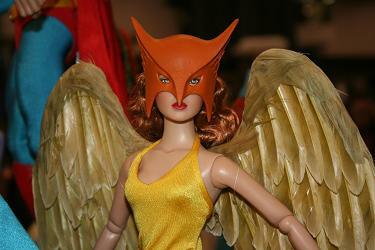 The wings on Hawkgirl were really amazing - click this image to be taken to the gallery page for their excellent booth. Of further interest is that their new Doctor Who and Torchwood figures are just about ready to be revealed, pending only final approval from BBC type entities. With any luck, they'll be able to show them off next week at Toy Fair!